The distressed paper technique can add both dimension and interest to your scrapbook pages and handmade greeting cards. "One may survive distress, but not disgrace"
Do you like adding texture to your scrapbooking layouts and cards? If you haven't already met the Distressing Tool, this is your lucky day! What is a Distressing Tool? This card making tool is one of the handiest little gadgets around. 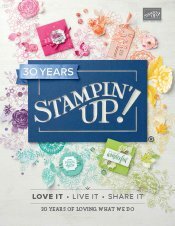 The one I have is from Stampin' Up! 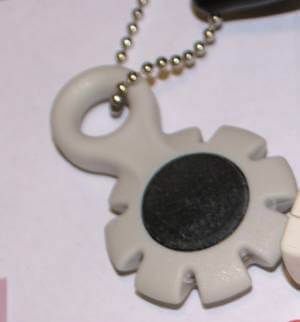 (NLA) and is shaped like a circle with notches cut out of it. It has a soft button in the middle that makes gripping the tool easier when you want to rough up your cardstock or designer series paper. It came with three other cutting and scoring tools which makes it very handy indeed. It's a pity it is retired, but you can see what sort of tool to look for out there. All of these types of tool have razors built into them so you can distress your paper safely and thoroughly. Some of these kinds of tools only have one notch, and I wonder if the razor edge would lose its sharpness quicker than the multi-notched ones? Having one like the Stampin' Up! one with more razor surfaces to work with is a definite advantage, in my opinion. How DO You Create Distressed Paper? You can use the distressing tool to get this look. I also give you some tips about what to do if you do not own one of these tools yet. In the middle of the notched circle of my tool is a sharp razor edge that can be used to make the distressed edges on your paper. NOTE: If you are going to ink the edges of your paper, you may want to ink them before you distress the edges. Try inking after you have roughed the paper up as well to see if you like that effect better. Take the tool in your hand and run the edge of your paper or cardstock through one of the notches so that the razor edge scuffs the paper as you draw it through the tool. You will wind up with a slightly curled, frayed look. Of course you can also achieve this look in other ways. You can try using your fingernail against the edge of the paper and roughing it up that way. I sometimes use that method when I want a more random look to my embellished edges. A tool makes things quicker and there's less stress on your fingernails, though. Someone once told me my fingernails should be jewels, not tools. 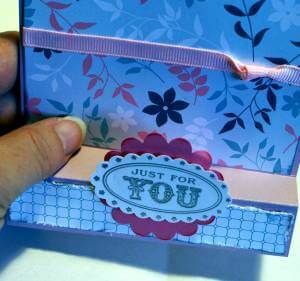 So you could try using scissor blades to get the distressed paper effect instead, but be careful not to cut yourself. Even a dull butter knife could come to the rescue for you! 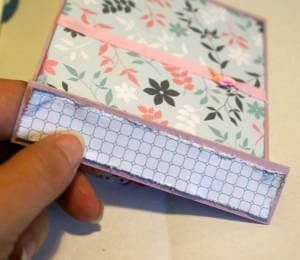 Using this technique is a great way to add texture and interest to your scrapbooking pages, handmade greeting cards, ATCs and 3-d paper craft projects. If you haven't already tried it, why not give it a go?